This computer is not meant for me and it's not what was planned at first. Somehow during my summer vacation changes were forced without my knowledge nor consent and after months of hassle and waiting I finally received 3 boxes full of parts today. Installing all of this was a breeze, or so I thought it would be. Mobo and case aren't made for each other. So I made custom motherboard standoffs! One thing I'm unhappy about is the case, not because it's not a good one. This was supposed to go in a server room, which means in a RACK. Now it's gonna take all the available space on a shelf and usually shelves are a last resort in a server rack. As of yet I don't know exactly how this is going to end. OS will be Ubuntu and the computer will be used for heavy computing tasks. The plan is to add Xeon Phi cards in the future, at least that's what we talked about, hence the 1000w psu. But of course that means we need a dev that knows how to code accordingly. This is version 3, meaning it's not the lastest one and it's not finfet 14nm. But look at the price!!! We didn't have 3000$ per cpu to spend so a compromise had to be made. 2x 3ghz 4c hyper-threaded, yes please. installed right off the box, didn't need to change the fitting. I expected a poopoo brown fan, that's what I got. Loads of thermal apste included (like way too much). Xeon will stay cool forever. 16 slots for the ram, full size holes for cpu cooler (80x80mm), every connector seemed perfectly at the right place. No sound header on the mobo, but then again this was NOT the WS version I used in the build so it was intended for server purpose. plenty of fan headers, many of them! it's fast, way less expensive than Enterprise SSD, 10 years warranty. 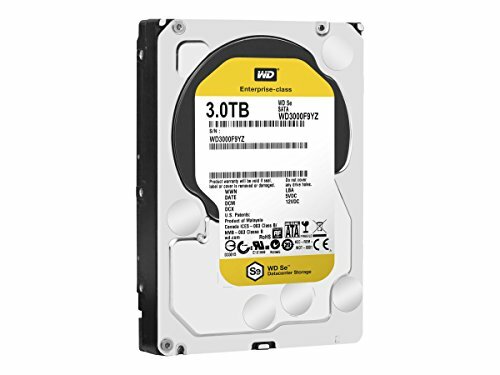 Wanted long lasting 7200 rpm hdd. These days I still only trust WD when I want something reliable. Sorry for all those other brands that could be good, I don't want to learn the hard way if they are reliable or not so I stick with WD. Chose the SE for the warranty, otherwise it would have been RE and the like. Giving 5* for now, we'll see in 3 years. very easy to work with, huge and roomy, modular drive cage, great cable management. It has a window, I would prefer windowless. Had to remove a stub in the hdd tray to fit the ssd, the mounting holes should have been centered instead, I fear I will lose the little stubs. knocking a star because of that and the flimsy plastic for the trays. How do you use it without any graphics chip? Remote desktop? Throwing in a temporary GT 610? there is an onboard graphic chip of some sort, probably ATI ES1000 (ok probably more recent than this) or something similar. On the back there's a VGA connector, no added GPU on tihs build. There are several variant of that board, which actually caused me problems finding proper Linux drivers at first. This is probably good for virtualization. I think it is used to calculate best roads to use for multimodal delivery runs, taking into account height of overpass, road width, max weight allowed, price of gas and the numerous stops, connection availability, etc. For virtualization I would have opted for a bit slower cpu speed and trade it for more cores, depending on how many v-machines needed. this is not a joke this is really cheap for a server. 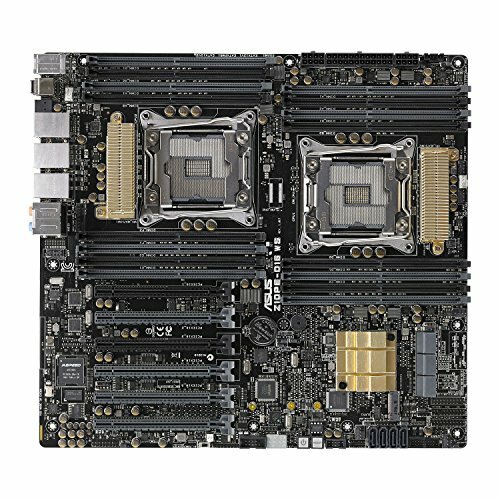 How do you think those two quad-cores stack up to a single 5960X or equivalent? the 5960 looks pretty darn good! The dev's use i7-6700 w/64gb on their desktop. But I needed to go with 2 or 4 cpu's. So we have 2 hyperthreaded quad core with room for upgrade! I had to leave room for upgrade, that was mandatory, I couldn't max out the machine with the low budget allowed. I would need to dig further and see if in real life spreading the workload on 2 sockets get things done faster or not. Also, it had to be 2-way xeon cpu, 2600 to be specific, so I leave open the option of Xeon Phi cards (61 cores per card). Just a note: to maximize the use of Phi it's best if you can saturate them with 240 threads of workload, 4 threads per core. Went on PCPP website and selected all the parts I had in the boxes and turned out I had one red flag for mobo/case. But I really didn't want to RMA anything so to hell the red flag, I'll make it work!! Patience was required but I didn't had any rubber grommets around. I used extra standoffs I had and turned them upside down, screwing them together on each side of the mobo, did that on each hole where I couldn't fit a post properly. Clever. Best to luck with your beast of a machine! Hello gugu96. Awesome build you have. Question for you. How did you manage to use both CPUs? 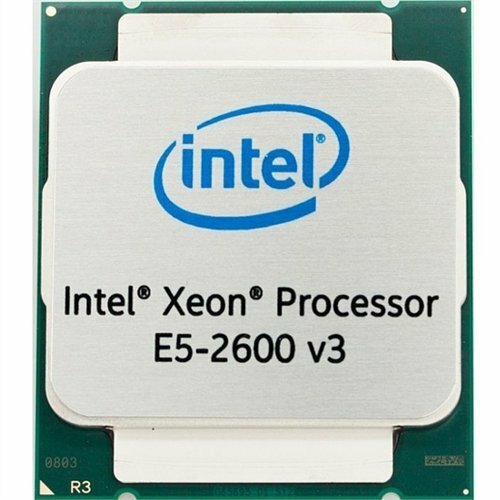 I also have the same Motherboard but different Xeon CPUs (XEON E5-2630 v4 x2) yet my computer is only reading one CPU? Any Ideas on how I can unlock or use the other CPU? read the manual, it explains how to use 1 or 2 cpu. I mention it because some pcie lanes aren't available when you have 1 cpu only. In fact, most of the pcie lanes and slots are disabled unless you have 2 cpu. Makes me think there is more than this and the manual can tell you. other thing that came to mind instantly: ram. Make sure the ram is placed in the slots for a 2 socket config. Again, the manual is rather clear about that (as far as I remember). The ram config is different with 1 or 2 cpu. I really hate that board for a linux use. Over the years I've had raid problems and only problems, dang software raid. I'm about to get an expensive raid adapter and plug all the drives onto it and reinstall the darn thing entirely. Cheap...-er than an i7 5960x.